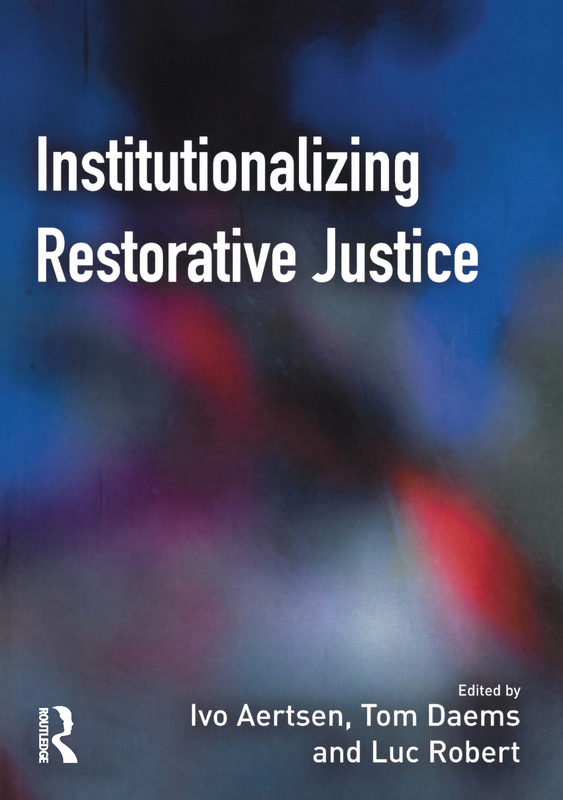 This new book aims to explore the key issues and debates surrounding the question of the incorporation and institutionalisation of restorative justice within existing penal and criminal justice systems, an increasingly pressing issue given the rapid spread of restorative justice worldwide at both national and international levels. In doing so it aims to build bridges between those concerned with the practical institutionalisation of restorative justice on the one hand, and those engaged in more theoretical aspects of penal development and analysis on the other. It offers conceptual tools and a theoretical framework to help make sense of these developments, reflecting expertise drawn from analysis of developments in Europe, North America and Australasia. The institutionalization of restorative justice in Canada: effective reform or limited and limiting add-on? Reintegrative shaming and restorative justice: reconciliation or divorce?